After posting about chicken this week, I am ready to talk about a zero meat approach. In case you didn't know, dietary vegans do not eat ANY animal products including eggs, milk, and anchovies. They seem to be onto something because the consumption of meat has been linked to heart disease and isn't very green. I am not a vegan, but I am trying to decrease my meat consumption and increase my fruit and vegetable consumption. This change is better for the environment and better for my waistline - a win-win! What are your favorite vegan snacks? Yay! Links to vegan recipes! Thank you so much for including vegan food in your news letter. Finally recipes that I don't have to try to modify. Love your posts Lisa, keep them coming. I am NOT vegan or vegetarian and love my steak and potatoes when I can. I just wanted to ask a quick question and if it is irrelevant then please do not post it. I have co-workers that are vegetarian BUT they eat fish??? What is up with that, fish live and breathe, why would a vegetarian eat them? I only ask this because I see you mentioned anchovies, and how vegans don't eat them, but do they eat other fish? Again thank you for your book, your recipes, and all the posts I look forward to reading them every day. oops...the bean dip has cheese so definitely not vegan unless you substitute soya cheese or similar. My son in law turned vegan 2 years ago and he is doing very well with it. Doctor has taken him off all meds and he dropped 40 pounds. I did it for a month and lost 12 pounds. But then I fell off the wagon. My blood results came back terrible so I'm thinking I better get back on the vegan road again..
Lori, I'm a vegetarian, not vegan. I eat eggs, cheese, and I drink milk. But I don't eat fish or chicken. 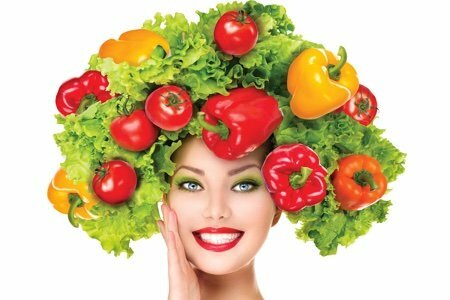 There are several types of vegetarianism. Some eat chicken and some eat fish. I agree with you that fish and chicken are living things. It does make it harder when people who eat chicken and fish say they are vegetarians because it makes it a little more difficult for me. I go to a wedding and I'm given fish and I say no, I'm a vegetarian and they say yeah that's why we gave you fish. Same thing are smaller restaurants. Well we have chicken and fish. Chain restaurants are different for me. I usually have an easier time eating there. Their chicken and fish dishes don't have the vegetarian icon because they are not vegetarian (in my opinion). I would think flexitarian would be a better term. I get sick if my food is even cooked with chicken or fish. I don't think eating meat is wrong, but those vegetarians who eat chicken and fish can make it more difficult for me to eat. I live in a small town in Canada. Vegetarianism isn't really popular. Just my two sense. @anita - thank you! wishful thinking on the bean dip. Soy cheese would work to make it vegan. Vegetarians that eat fish are called peskaterians (sp?) not vegetarians. Great recipes! Do you think it would be okay to use almond milk or coconut milk in place of soy milk in the vegan cupcakes? Thanks! Thanks for posting some meat-free options! For those of you confused, I can help clear up some veg definitions.